When our ancestors entered Eretz Yisrael and wished to offer the sacrifices of which we read in this week's Torah portion, they did so in the Mishkan, which served as the home of the sacrificial altar for over four centuries until the establishment of the Beit Hamikdash in Jerusalem. For most of that time the Mishkan sanctuary was located in Shiloh (369 years), until it was destroyed in the war with the Philistines. 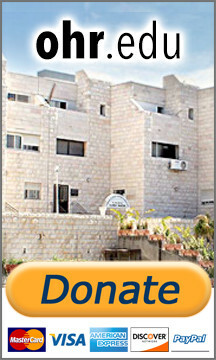 It was then transferred to Nov and Givon (57 years) before finally becoming the Beit Hamikdash in Jerusalem. The Torah refers (Devarim 12:9) to Shiloh as "the resting place" and to Jerusalem as "the heritage".